One Night. One City. 50+ Startups. 15,000+ People. Munich has a lot to offer when it comes to founders, technology, and innovation. But it sometimes lacks the public attention and falls behind when talking about the buzzing startup scene. 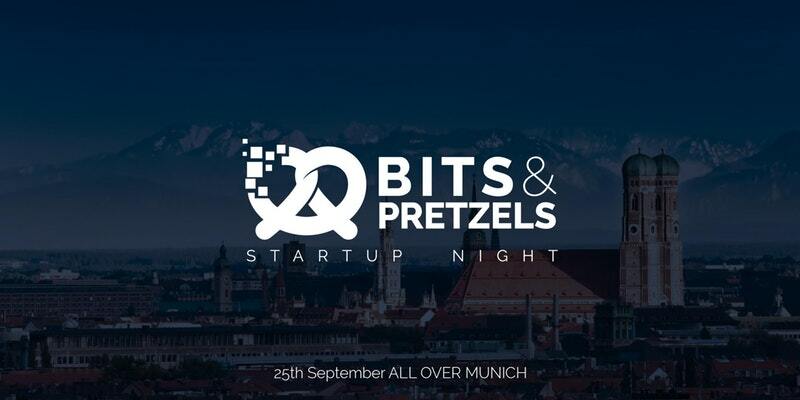 This year, we take it to the next level with the „Bits & Pretzels Startup Night“. We want to create something that this city hasn’t seen before. On September 25th, Munich will be all about startups. Open your office and show us your world. Let’s create a night of networking, learning, inspiration and founders spirit. It’ll be a night that connects startups even if they’re not at Bits & Pretzels. Our vision is to inspire everybody for startups or help people with their already existing startup to generate attention and create a network. Hier findet Ihr eine Übersicht aller Veranstaltungen.